Madelene shook her head furiously, refusing to accept her father’s words. Madelene’s forehead puckered. Her father appeared to be reassuring himself as opposed to explaining the reason for dealing her an unwanted fate. Furthermore, when had her father cared about such a trifling thing as the Moor’s appearance? Rashid’s dark skin and fierce countenance may strike fear into a lesser man, but of what consequence was it to him? Sir Cardross Huntington was a man who welcomed and appreciated the allure of the taboo, the strange, and the otherwise frowned upon evidence of his travels and tastes. Rashid was but a fraction of the myriad of seamen who boarded her father’s ship, working in return for food, lodging, and adventure. Why do I concern myself with such a trivial matter when it is my future that is at stake? Madelene resorted to begging, hoping that it may soften her father’s will. But Sir Huntington was not to be fooled. She turned away, unwilling to reveal the tears that threatened to weaken her will to stand her ground. Madelene resented the women who used their tears to achieve their will, and she had vowed that she would never become a blubbering fool in the heat of an argument. Agitated, she walked to the books that littered her father’s study, running her fingers along the spine of the works of a Greek philosopher. Her father had always encouraged her to think for herself and to hold onto her own opinions, no matter the opposition. Father is mistaken if he believes that I will simply agree to his plan – I am my father’s daughter, after all. She turned back to him and fixed him with a determined look. The exchange that followed became too much for Madelene to bear. She ran from her father, entering her room in such a state that her abigail uttered a shriek of alarm. Madelene paid her no heed and buried her face in her pillow, stifling the cries that shook her body. The Marguerite was making its arduous journey home, having just left the cacophony of The Cape of Good Hope. They had several weeks to go before they were to reach London Dock, but each new day brought her closer to the life that was awaiting her in England. She wrapped her arms around herself to stave off the cold wind that whipped about her, but she knew that nothing could warm up the chill in her heart. Madelene found some comfort in the undulation of the waves, smiling when a dolphin leapt into the air and made a graceful splash back into the water. Many seamen saw dolphins as a good omen, but would that work for her on land as well? Madelene’s anxiety rose as thoughts of her future filled her mind, so she fastened her mind back on the waves again. Whenever her mind threatened to overcome her with distressing thoughts, she found that concentrating on the sea beneath her was enough to calm her. Her voice, usually bright and captivating, held a note of sorrow that she couldn’t hide. There was nothing to be done about it: as soon as they reached London Dock, she would be sent to live with her uncle and his wife. Her father had described his brother’s wife as a good and respectable woman, but Madelene had a feeling that austere would probably be a more apt description. The English women who she had had the unfortunate chances of meeting were reserved women who catered to every whim of the men in their lives. They had looked down upon her, resenting her for her outspoken ways. She would have to hold her tongue once she set foot on English soil, but the thought of changing herself just to conform left a bitter taste in her mouth. Madelene bowed her head, allowing a few blonde tresses to escape her hastily donned cap. She had left her room in a flurry of clothes, needing the therapeutic smell of fresh air and the saltiness that was in keeping with the vast expanse of sea that surrounded the massive ship. She had always believed her father to be an unconventional man, one who was ahead of his time and didn’t give in to the pressures of society. He had been the one who had allowed her to grow used to living a type of life that would have been denied to her had she been closeted in the world of doctrines that England represented. Madelene had been fortunate thus far: her life on her father’s ship had afforded her entrance into the exotic and unusual world of pirates, sultans, princes, snake charmers, fortune tellers, sights, and sounds that put the civilised society to shame. Their journey to the East Indies had been profitable; stowed away below deck were goods fit for the extravagant life of the ton. Gold, diamonds, spices, tea, porcelain, china, and silk filled the cargo space to the brim. The goods would fetch a princely sum that would fill her father’s coffers handsomely. A sudden gust of wind loosened her grip on the shawl around her shoulders, and it rose in the air, dancing as if an invisible hand had attached strings to it. Madelene watched in dismay as her mother’s shawl threatened to be plunged into the sea, but it lifted into the air once more and floated down gracefully before settling into the steady hands of her father. She would have laughed at the good fortune of having her father save her shawl, but her sombre mood would not allow it. Her father’s eyes twinkled as he made an elaborate bow and held her shawl up as though he was some gladiator awaiting his prize. “My lady, I believe that this belongs to you,” he called out. Madelene made no move to meet him halfway, bringing forth a frown. My disappointment is greater than your need for reassurance, Father. Sighing, Madelene closed her eyes and turned away. Sir Cardross Huntington was an astute man in business, some could even call him ruthless. He could read people like an open book, and that had served him well as a merchant. Now, with the added role of a privateer, his life depended on making the right decisions in a split second or risk ruin. But when it came to his daughter, he was as malleable as the shawl in his hand. He was used to having her unwavering love and ready smile, thus he was at odds at what to do. His smile faltered as she turned away from him, leaving the shawl to dangle limply from his hand. He could feel his daughter’s sorrow as profoundly as his own, a torturous feeling that had stolen his sleep from him. It had been a fortnight since he had believed it necessary to tell her of his immediate plans for her welfare, and still, she refused to speak to him. Sir Huntington recalled how his words had been met with brief shocked silence, followed by such opposition that he was of the mind to gently remind her of her position as his daughter. Her eyes had pierced him with guilt, penetrating eyes that reminded him of his late wife. Sir Huntington experienced a pang of pain and regret as he recalled his last moments with Marguerite. She had held their infant daughter in her weak arms, painfully thin from the wasting disease that had eventually claimed her life. Cardross had made a vow to her to take care of their daughter, to shelter her from the ills of the infested world. Surely she would have agreed to his plans for their beloved daughter? “Father, must you send me away from you? Is there no other way?” she had asked. Her eyes had stared imploringly into his, a moment longer and he may have relented. But it was not to be, so she simply could not remain with him for her safety was at peril. He had spoken of his plans to send her to his brother’s house, but he had neglected to share his reasons for doing so. His daughter had blossomed into a rare beauty that drew the eyes of many admirers, and while some were purely appreciative of her striking features, there were yet others whose leering gazes had spoken of unsavoury thoughts and intentions. He was well aware that his ties with the Barbary pirates may soon come to an end as he was against the selling of humans as commodities, and should he decide to end their complicated partnership, there was no telling if they would capture his young daughter and sell her to some prince at the highest price. And there was the matter of the Viscount– Lord Allandale – who had approached him with marital designs on Madelene. The idea had been entirely preposterous, and he had stated so, effectively succeeding in earning the scoundrel’s contempt. Sir Huntington was all of three years older than the Viscount – it would not do for his daughter to be subjected to the affections of a man who would sap all her youthful exuberance before she had had her taste of life beyond the boundaries of a ship. The man was hardly the type of suitor that he had envisioned for his only daughter for there was a cruelty that emanated from the Viscount, kicking up a stench whenever Sir Huntington had the misfortune of seeing him. The tales surrounding the Viscount described great evil dealings that would put any convicted criminal to shame. A father hoped that his daughter would find true love; a type of love that saved one from the monotony of daily existence and lasted long after a spouse was lost to the abyss of death. Sir Huntington draped the shawl over his arm and approached his daughter, his weariness increasing with each step taken. You are angry now, Daughter, but it is my hope that you will soon understand that I have made this difficult decision to protect you. There was nothing that he wouldn’t do to ensure her safety, even if it meant having oceans and continents separating them. Hugh stepped down from his carriage, his heart in his throat. Six years. Six years, and it still feels like yesterday. His limp was more pronounced this morning, likely due to the chill that had settled in the country air. Autumn had made itself known and was steadily paving the way for the icy grip of winter that would soon strip the trees bare and cover every surface with a layer of white. There was a happy moment in time when the cold had meant blazing fires, hot cocoa, and being carefree while playing joyfully in the newly fallen snow, but age seemed to have a substantial bearing on a man’s view of the wintry season. To Hugh, it appeared that time was a man’s foe rather than a trusted friend; no one could escape the sand that steadily fell through the hourglass. He certainly had not. Here he was, standing before the gates of his home, and yet he could not bring himself to enter. If his parents had not already turned his younger sister away from him, then he was sure of her welcome. I suppose that it can be counted as something. But he would be better off turning away from Trentham House rather than entering through its gate. His mother was not a woman who could easily forget, and his father was merely a puppet in her hands. If his fate could have been rewritten, Hugh would have taken his brother’s place without a second thought. However, fate was not subject to the wants of man, it was an unforgiving woman that gave lovingly and took away with a measure of hatred. He reached out towards the south gate and pushed – better for him to enter through the servants’ quarters than through the front like a guest. The Gold House was wrought with tension. Harry Huntington’s upper lip was beaded with sweat, and his eyes darted to the other gentlemen in the room. Harry shot a look at the man who spoke, narrowing his eyes in anger. The dark haired man surveyed him with a hard gaze, challenging Harry to deny his words. Harry firmly believed that he could win. I know that I can win; I just know it. He needed a good hand, just one good hand, and he would win back all that he had lost. But he couldn’t; he just couldn’t. The Earl of Scarborough had no right to tell him what to do – bugger the peerage. A gambling house evened things out, as far as he was concerned. Harry scratched his head and took a swig of rum, buying himself time. He would wager their house, but his wife would likely skin him alive and throw him to the pigs. The woman has no sense! He was the man of the house, not her! But he dared not upset his wife, not when she could ruin him with the right words spoken in the right ear. No, not the house, but then what? He had lost all of his money and what possessions he had brought with him, but he needed just one more chance and then everything would be alright. I can feel it in my bones – I’m going to win. He scrunched up his face, trying to think of something, anything, to wager with. A dark thought crept into his mind. “How many chips will the hand of a young woman get me?” he asked. The room went silent. Harry looked each of the five men in the face, pleading with them to agree to his plea. One by one, they all looked away, not wanting to meet the eyes of a man that would do such a thing. Three of the men had daughters who they doted on – they would never consider betting the hand of their own loved ones upon a game of chance – it was beneath them. Only one man kept a steady gaze on Harry. “You would bet one of your own daughters? Have you no sense?” the Earl asked. Harry hesitated to answer. Was he going too far? Not if I win. He hoped that the Earl would not see through his lies. No, Madelene was a wealthy young woman – his brother had made sure of it. However, he could not go against the wishes of his wife; his niece was not allowed to join his daughters during their first appearance during the past Season – Cornelia was jealous of the girl. The Earl scratched his jaw, bringing attention to the long scar across his right cheek and jaw. There had been stories about how the Earl had acquired the injury. Some had spoken of his ambush during the War, others swore by the fact that he was a spy and was caught by Bonaparte’s men, and yet others believed it to be a gash from an angry husband’s knife. Whatever the reason may be, it gave him a fierce countenance. But Harry had no time to be intimidated; he needed the Earl to agree to his notion. Once he did, the others would as well, and then he would be back in the game. “Okay, Huntington, I’ll sponsor you a few chips. If you win, you keep your winnings, but if you lose …” He let the words hang in the air. The Earl pushed a couple of chips towards him, and he lunged for them, greedily scooping them up. The other gamblers shook their heads but joined the table once more. Two cards were dealt to each man, and they placed their bets. “This is my lucky hand, gentlemen, you mark my words,” he said. A woman grabbed Madelene’s hand, her eyes full of suffering. Compassion filled her heart as she looked at the harassed woman. Madelene didn’t mind the stench that seemed to seep from every pore of the woman. She had smelt far worse before and was not so unfeeling as to remove herself from the woman’s firm grip. Instead, she brought her other hand to rest on the woman’s hand. Giles, her father’s right hand and now her protector, signalled that it was time to leave. Madelene sighed. She would much rather stay and help the needy, but neither did she want to give her abigail a reason to worry. She dug into her little purse and pulled out a few coins for the woman. The woman raised Madelene’s hands and kissed them, tears streaming down her dirty face. Madelene patted her hand. “You’re welcome, Anne. Just make sure that you take your son soon.” She turned to the other woman who was clamouring to get to her. Her heart cried out to each and every one of them, but there was only one of her and so many of them. How could she possibly help them all? Words of dismay ran through the crowd. One woman shouted out from the back. Madelene looked helplessly at the crowd, at a loss at what to do. She had asked the Reverend Binkley to send word to the poor to meet her at the little church, but she had had no idea that there would be so many. Giles stepped in front of her when the women started to crowd her, all shouting out their ailments and money woes. The Reverend, who had been silently watching her interaction with the women, stepped forward. He was a slender man that possessed a voice so powerful that it was enough to subdue the women. He waited for the last of the chattering to stop before continuing. He looked at her then, and she nodded– she had every intention of returning. He gave her a quick smile and returned to the crowd. There were some murmuring and unhappy faces, but he fixed them with a stare that soon dispersed the crowd. Giles only stepped away when the last of the women had left, allowing her to approach the Reverend. He took her hand and dropped a feather light kiss, bowing. She smiled, but it was somewhat strained. “Thank you, Reverend … Giles?” she said, turning to him. Giles gave a short nod and whistled, alerting the carriage driver to come closer. She pulled her hand out of the Reverend’s grasp and felt some tension in his hands. It appeared that he did not want to let go of her hand. She gave a last tug, and he released her, smiling into her eyes. “I hope to see you soon, Miss Madelene,” he said. Madelene opened her mouth but was at a loss at what to say. Discomfort settled in as time elapsed and the silence grew longer. The Reverend was sending her strange looks that set her on edge. One of the women had informed her that he was looking for a worthy wife, and Madelene just hoped that he didn’t have any designs on her. When she saw the carriage approach them, she couldn’t help breathing a sigh of relief. Madelene all but ran to the carriage, only relaxing when she was well ensconced in its walls. Giles sat up front in his usual seat, conversing with the driver. Usually, she would insist that he join her in the carriage, but today she was grateful that she was alone to think. If she didn’t know any better, she would believe that the Reverend had a tendre for her. If that were so, then the Reverend would be added to the list of the many men who had set their hearts on her but were rejected. Madelene had no interest in being the wife of an English gentleman. She was forced to reside alongside them, but her real home was upon the sea. No respectable Englishman would allow her the freedom that she so desperately needed. She untied the ribbons below her chin and removed her bonnet, glad to be rid of the troublesome contraption. Maria insisted that she wear it whenever she went out, but she found it hideous. She would lief have her curls loose and free from any contraptions that the Directoire cooked up in their little meetings. However, if not for them, then any lucky person would be able to see straight through her dress and get an eyeful. Madelene begrudgingly accepted her clothes, but she would much rather be wearing the men’s clothing that she had hidden away in her trunk. Only Maria and Giles knew of them; if her aunt were to catch her, that would be the end of her night-time escapades. She sighed and leaned back against her seat, already weary of the conversation she was to have with her aunt, Cornelia. That is if she discovers my absence. From her very first day at Grosvenor House, Cornelia had made it clear that she expected her to toe the line and abide by her rules, but Madelene refused to give up everything that she enjoyed. Whenever the opportunity presented itself, she would sneak out of the house and go horse riding, sitting astride her horse rather than the dreaded side saddle, or swim in the stream that ran through her uncle’s property or even assist the poor with provisions. Her eyes drifted closed, and before long, sleep had overtaken her, plunging her into a world of adventure and freedom. Much to her chagrin, Madelene was unable to slip into the house undetected. Madelene kept her gaze lowered, knowing that any direct eye contact would be misconstrued by her aunt. She had learnt that the hard way when her aunt’s hand had connected with her cheek some months ago. It had taken all that she had not to retaliate in kind, but Maria had grounded her with a single touch to her arm. She now stood behind Madelene, quietly supporting her. Madelene rolled her eyes, her gaze still lowered. Her aunt was given over to theatrics at the smallest of incidents; no wonder her uncle spent his days in gambling houses. As it was, he was currently in London on a supposed business meeting with fellow merchants, but Madelene had strong reason to doubt this. She had witnessed her uncle remove money from the safe, along with trinkets of varying value. Madelene suspected that her aunt knew of the severity of her uncle’s gambling problem. She heard Maria cough behind her and stifled a smile. Her lie was far-fetched, but she knew that her aunt would not begrudge her a trip to the church. Mrs Cornelia Huntington believed that she needed to be saved from the fiery pits of hell for all of her insolence. If anyone were in danger of the pits of hell, it would be her aunt. Mrs Huntington sniffed, pursing her lips as she studied her niece for any deceit. The girl had been a bother from the moment her husband had brought her home a year ago, and she was all but ready to send her packing. However, the handsome sum that her father had given to them for his daughter’s well-being was too significant an amount to ignore. She grimaced as she thought about the gambling debts her husband had attained. Harry was a weakling of a man who had no trouble gambling their savings away, so much so that her daughters were denied a sizeable dowry. But Cornelia was a woman who knew how to deal with whatever life threw at her. Madelene had come with a large dowry that was practically indecent. A slap in the face; that is what it was. Here were her darling daughters, practically penniless, and this uncouth wild girl arrives at her house with money to put a family in comfort for the rest of their lives. It had only been fair that she had used Madelene’s dowry for her daughters – not that she had informed her husband of her decision. No, Harry was too busy with his latest courtesan to worry about his family. It was solely up to her to uphold the family name. The girl stood there wide-eyed and innocent looking, but Cornelia knew that there was deceit hidden behind those sapphire blue eyes. However, she could not spend any further time on this girl, for they had visitors about to arrive any minute. The girl looked up, and Cornelia could have sworn that there had been a look of joy before she masked her expression with a carefully closed look. She didn’t need this golden-haired siren seducing her daughters’ suitors away from them. The girl nodded and took off towards the stairs, rushing like the wild child she was. Madelene’s steps slowed to a fast walk, her abigail trailing behind her at a more leisured pace. If it were up to her, Cornelia would have driven that woman from her house. But she couldn’t as she had come as a package deal with the young chit, along with that great oaf. However, Cornelia kept her eye on her – she refused to be outdone by a simple maid. She had worked far too hard to get to where she was now. She was no longer the drunkard’s daughter who used to beg at the docks for food to eat. Neither was she the daughter of a whore who sold her body for her next bottle of gin. No, she was Mrs Cornelia Trentham, a respectable woman who held her head up high in society. She may not have married a man with a title, but his fortune had more than made up for it. She shook her head and walked to the kitchen to ensure that the feast for their honoured guests was well underway and nearly complete. Maria closed the door behind her slowly, letting her anger come under control before yelling at the beautiful girl that stood before her. No, not a girl, a woman. Madelene had indeed grown into a beautiful woman and had even surpassed her mother. But she didn’t seem as smart as her mother. Madelene removed her gloves, throwing them on her bed. Next was her bonnet, then removing the pins in her hair that held the hairstyle Maria had so carefully created. She shook out her waist-length hair, combing through it with her fingers as she plonked onto her bed. She suddenly jumped off the bed and came towards her, grabbing Maria’s hands in her own. Maria sighed. Madelene was not yet old enough to understand the ways of the world. Maria had seen horrors in her own country, horrors that remained in her mind and made her grateful to be far away from the War. Madelene’s father had carefully sheltered his daughter, only allowing her to see what he believed necessary. It was merely by chance that she had come across the suffering of men, women, and children in Jamaica during her fifteenth year. She had endeavoured to help them, many a time against her father’s wishes. What would her father say to her latest escapade? He would no doubt blame her and Giles for allowing such a thing to happen. But one did not allow Madelene to partake in any activity; she was a law unto herself. Madelene leaned forward and laid a soft kiss on her cheek. Her argument was the same, whether they were in South America, the Caribbean or the East Indies. Madelene wanted to help the needy, and Maria could not help loving her for it. She may hold the title of an abigail, but she was closer than that. She was like a mother to Madelene, caring for her from her infant years. No one else knew her as she did. Her question was hopeful, but Maria already knew what the answer would be. The young girl laughed, a tinkling sound that reminded her of streams of moving water. It washed over you, bringing forth a begrudging smile. However, today she could not bring herself to smile, for there was a more significant matter to discuss. Maria’s thoughts travelled to the letter that she had hidden away in her apron pockets and gripped Madelene’s hands with a strength that surprised the young woman. Maria looked heavenward, shaking her head before releasing Madelene’s hands and reaching into her pocket. She handed the letter to Madelene, who eagerly took it. “Read it,” Maria said and took a seat on a stool. Let Madelene read of her father’s news for herself. Madelene frowned at Maria, quizzical about her strange manner. She opened the letter, thoroughly pleased to have received another letter from her father. She was anxious to hear of his health, their journeys, and word of her many friends. As she read the letter, her face fell. This letter did not bring good news; in fact, it spoke of an imminent threat. She travelled back into her memories, trying to discover the exact moment that may have turned the Viscount from the role of a friendly acquaintance to one who saw her in the role of his wife. Madelene was shocked to her core. Would the Viscount be able to force her into marriage? Every fibre of her being rejected the thought, shuddering with revulsion. Maria stood up and led her to her bed, sitting down next to her. She gently took the letter from Madelene’s whitened grip. Madelene knew that only too well. Uncle Harry’s gambling was well-known by many, and that included his losses. There was no telling what a gambler would do when offered a sizeable bribe for her hand. Fear crept into her, making an already stressful situation markedly worse. Maria’s answer was simple and yet challenging to absorb. But Madelene’s mind rebelled against that notion. She would marry for love, and only for love. She wanted the love that she knew was shared between her parents, and she knew that her father wanted the same. Maria reached up and tucked a wayward curl behind her ear, her expression soft. Madelene leaned into Maria’s callused hand, seeking comfort from the woman who had helped raise her to become the young woman she was. Maria’s voice was thick with emotion, her concern for her shining in her loving eyes. Maria’s hand fell away, and she shrugged, bowing her head in distress. And she would, she promised herself. She refused to bend to the will of men. Harry Huntington, a man who seldom found the need to wail, was doing an excellent job of doing so. His wife was less than amused, having found her husband down in the cups at an unsightly hour. A great sob escaped the man, heightening his wife’s annoyance. She went forward and snatched the glass from his hand, spilling the contents into the dying plant sitting beside the window. She banged the glass on the drinks trolley and pushed it away, ensuring that her husband could not reach it unless he pushed past her. Which he will not do, or so help him. Harry let his head fall heavily on his arms. Weak man! He cannot even look me directly in the eye! He mumbled his words, making her strain to hear him. He seemed indignant that she would even suggest that someone would have used their fists on him. I wish someone had! Harry clutched his head, moaning. Cornelia knew that her husband was likely suffering from a headache, a direct result of his foolishness. The families of his soon to be sons-in-law were in attendance, and would likely stay for days to come. As the Master of the house, he should have been present to receive their guests. Instead, he had been gaming. Shameless! Cornelia had no pity for her husband’s current state. He moaned again. Cornelia, forgetting her respectable image, lunged forward and grabbed her husband’s coat. Outraged by her sudden impropriety, he stood up, putting her away from him. Cornelia was surprised that he could even do so in his inebriated state. Cornelia resented her husband’s reminder of his status. It was she who ensured that the house remained in working condition! If it were up to her husband, they might have lived an impoverished existence. Perhaps I’ve gone too far this time. Harry appeared indignant of her actions. Better to assuage the situation than invite his rancour. Harry turned away and walked to the bookcase along the wall. Cornelia knew her husband enough to know that he was avoiding eye contact. What has the foolish man done? A dizzy spell overcame her, and she had to grip the table to steady herself. What had her husband done? The Earl was not a man to be trifled with. A slow smile spread across Cornelia’s face. Many a night she had stayed awake past the witching hour, thinking about the burden that was her niece, Madelene. It seemed that her husband had just solved her problem. Although she would have preferred one of her own daughters to be matched to an Earl, a Baron was not too bad. Furthermore, there were whispered stories of the Earl’s brutality. She would think it perfect if he would give his wife a roughing every now and then. No, her husband had done very well, very well indeed. Cornelia walked to the drinks trolley and poured a whisky. She handed it to her husband, who took it from her, his face a blubbering mass of confusion. Harry took a gulp of his whisky. “My dear Husband, I know that I am,” she said. The joy in Cornelia’s heart was too great to suppress the gleeful shout that escaped her lips. She was finally going to be rid of Madelene, and if that wasn’t a cause for celebration, then she didn’t know what was. Madelene slipped away from the door, her heart beating fast. She had been on her way to the garden when she had happened across the sorrowful sounds of her uncle’s crying. She had crept closer, curious as to what was ailing him. She gathered that he must have arrived early that morning, for he certainly was not present the night before. It did not take her long to discover the reason for his pitiful state. Madelene’s chest tightened, forcing her breath to enter in short bursts. Her hand touched her trembling lips, willing herself to calm down. Calm down, Madelene! What good will it do for you to faint? She fought to control her emotions, but when a small cry escaped her lips, her heart nearly stopped. Madelene forced herself to peer through the gap that had allowed her to witness her uncle’s treachery, fearing that her cry may have led to her discovery, but her aunt and uncle remained oblivious to her presence at the door. The trembling in her knees increased, making her movements less controlled. She managed to move away from the door, and leaned against the wall. I need to make my escape, and it must be soon. I refuse to allow them to steal my freedom! Madelene’s mind started to run, thinking of every avenue of escape available to her. 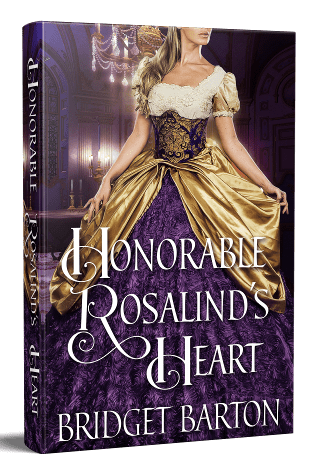 Lord Allandale was after her, and now she was betrothed to a likely senile Earl who thought nothing of collecting a young woman’s hand as payment for her uncle’s debt. Madelene shuddered at the thought of being married to a liver-spotted old man. Just moments ago, she had believed that she would have ample opportunity to secure her passage to America, but with the Earl arriving at such short notice, she needed to speed up her plans of escape. Getting to her brother in America would take a considerable amount of money, but it seemed that she would not be able to access the money that her father had left with her uncle for her daily living needs. However, Madelene had her own money and jewellery. She just hoped that it would get her to where she needed to go, for she was determined to be long gone by the time the Earl arrived. She tiptoed away, taking care not to draw the attention of her aunt and uncle. 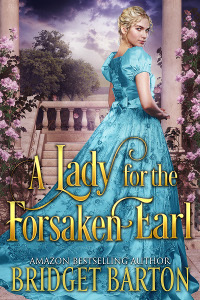 “A Lady for the Forsaken Earl” is an Amazon Best-Selling novel, check it out here! Madelene is on the run. 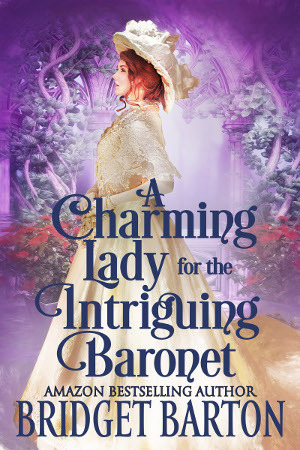 She refuses to become an Earl’s forced bride merely to settle her uncle’s gambling debt. Using her only means of escape, a male disguise, she flees to London, where she will board a ship to her freedom. But her plans go askew when a run-in with bandits brings her face-to-face with the very last man she wanted to meet. Young Madelene finds the Earl intriguing, but her guard is up. As a new danger grows imminent, will Madelene be captured and forced into an unwanted marriage, or will the man she once feared be the one to rescue her? While he sets out to discover the truth hidden behind the curious boy’s wary eyes, he unearths more than he bargained for. Will he accept his chance of redemption, or will he allow his past to devour his newfound happiness? 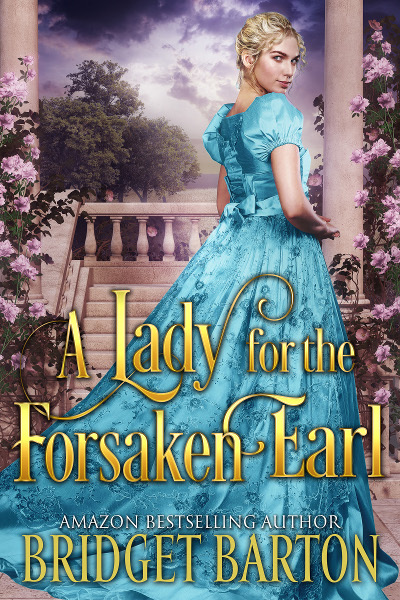 “A Lady for the Forsaken Earl” is a historical romance novel of approximately 80,000 words. No cheating, no cliffhangers, and a guaranteed happily ever after. Hello my dear readers! I hope you enjoyed this little treat. I will be waiting for your comments here. Thank you so much! another winner. Action intrigue romance. Look forward to reading it. Thank you so much dear! I hope you enjoy it! What a very intriguing beginning! I can’t wait to read the rest. It sounds like a great adventure! The blurb was enticing…this excerpt just reinforces my desire to read more. Looking forward to the entire novel. Thank you for sharing! Loved the intro. Would really love to see the ending. Will it be out soon? You can now find it on Amazon dear! Thank you for the kind words! Very intriguing beginning. It looks like another great book. Can’t wait to read the rest of the story. What an intense beginning to what surely is going to be a grand and exciting adventure for Madeline and the Earl! Waiting to finish what has begun in this book! I will have to make sure I have the whole day to read because this is going to be a page Turner.I can hardly wait to see what happens.My kind of story.So excited. Sounds like a very intriguing story! Cannot wait to read what happens! Such an exciting beginning. It sounds as if this may be my favorite book yet. Can’t wait until the final book is released. I will be on pins and needles until I can read the full book. It sounds very good. I can’t wait to read it. A great beginning that has left me waiting for more. Looking g forward for this book. Great cover once again and what an exciting introduction! Thank you so much dear! It’s beautiful, isn’t it? Have a great weekend! What a courageous young woman Madeline appears to be. Anticipating a great adventure with much excitement in the upcoming book. Thank you so much dear! I’m glad you enjoyed the preview! Sounds like this is going to be a fast moving one with, of course, a surprising connection in regard to the gentleman with whom our heroine ends up falling in love. And I certainly hope some fantastic “come uppance” for the dreadful aunt and uncle. I would think her father would know his brother was a lush and his wife a miserable, theiving, lying wretch. But, so goes the story, got to get in all the parts!!! Looking forward to the rest. Thank you for the kind andhonest feedback dear! I hope you enjoy te rest as well! Thank you so much dear Carmen! I hope you enjoy the rest as well! I cannot wait to read this! You have become my new favorite author and I look forward to all of your books! Thank you for many enjoyable hours!